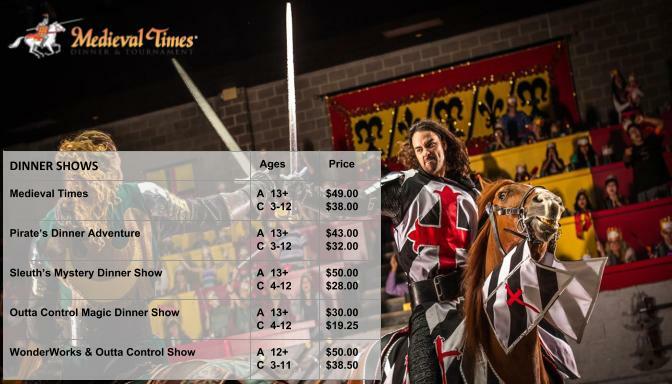 In an effort to provide a unique experience as well as added convenience to our guests, Tripaway Properties provides Discounts on all attraction tickets. Whether looking for Walt Disney World, Universal Orlando or maybe just tickets to a dinner show. 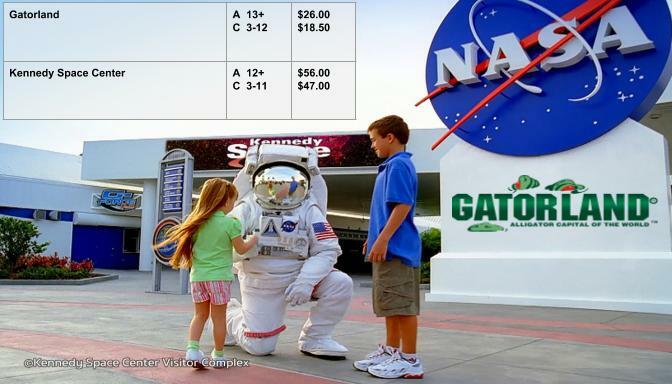 Let our local experts guide you to the perfect attraction ticket option for your family. Imagine this, you have planned your family vacation to the very last detail. Everyone is packed, your plane tickets reserved, even your accommodations are taken care of but due to the stress of taking care of everything you have forgotten your theme park tickets. We see this scenario all too often, Imagine not having to worry about your attraction tickets anymore. Let Tripaway Properties take that additional stress away, Our local experts will assist our guests in choosing the perfect tickets for your chosen attraction. Contact us today for more information. Ready to purchase or not sure where to start? Our agents are waiting for your call. MAGIC YOUR WAY BASE: Provides admission, one Theme Park per day of your ticket, to all four of the Walt Disney World® Theme Parks: MAGIC KINGDOM® park, EPCOT®, Disney-Hollywood Studios®, and the Animal Kingdom® Theme Park. 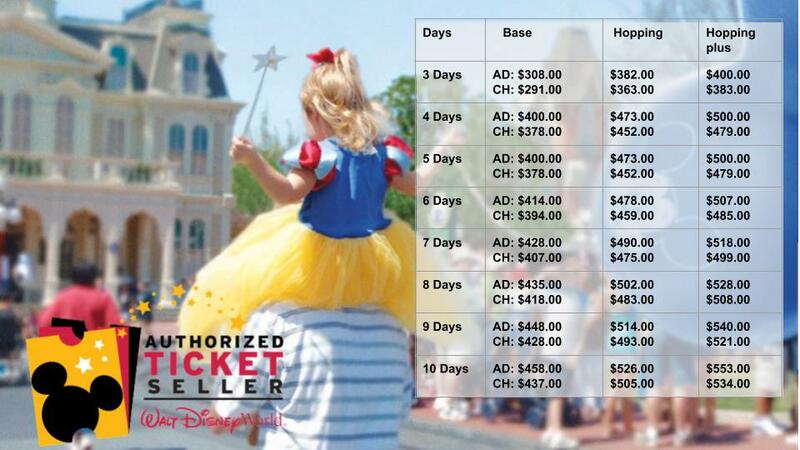 All Disney Magic Your Way Base Tickets expire 14-Days from the first day of use. MAGIC YOUR WAY WITH PARK HOPPER OPTION: Provides admission to go to and from all four of the Walt Disney World® Theme Parks; Magic Kingdom® Park, Epcot®, Disney's Hollywood Studios®, and the Animal Kingdom® Theme Park, for the length of your ticket. All Disney Magic Your Way Tickets with Park Hopper® Option expire 14-Days from first use. MAGIC YOUR WAY PARK HOPPER PLUS: Provides admission to more than one Theme Park per day of your ticket, to all four of the Walt Disney World® Theme Parks; Magic Kingdom® Park, Epcot®, Disney's Hollywood Studios®, and the Animal Kingdom® Theme Park. It also entitles a certain number of visits, based on original amount of Days purchased to the famous Disney Water Parks-Typhoon Lagoon and Blizzard Beach Water Park, including Disney's Wide World of Sports® Complex, and Disney's Oak Trail Golf Course (Tee times are required). All Disney Magic Your Way Tickets with Water Park Fun & More Option expires 14-Days from first use. 2 PARK MULTI DAY BASE: Ticket entitles one (1) guest admission to EITHER Universal Studios Florida™ OR Universal’s Islands of Adventure™ per day. Ticket during a seven (7) consecutive calendar day. 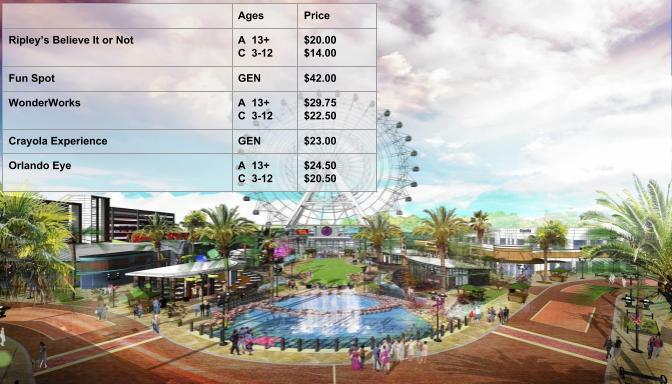 2 PARK MULTI DAY PARK-TO-PARK: Ticket entitles one (1) guest admission to BOTH Universal Studios Florida™ AND Universal’s Islands of Adventure™ theme parks on the same day. Ticket during a seven (7) consecutive calendar day. 3 PARK MULTI DAY PARK-TO-PARK: Ticket entitles one (1) guest admission to Universal Studios Florida™, Universal’s Islands of Adventure™ AND Universal’s Volcano Bay™ on the same day. Ticket during a seven (7) consecutive calendar day. 3 PARK MULTI DAY BASE: Ticket entitles one (1) guest admission to ONE (1) Universal Orlando Resort™ theme park per day: Universal Studios Florida™ OR Universal’s Islands of Adventure™ OR Universal’s Volcano Bay™. Ticket during a seven (7) consecutive calendar day. Enjoy of our theme parks: SeaWorld Orlando, Aquatica Orlando, Busch Gardens Tampa Bay and Adventure Island. COMPLIMENTARY SHUTTLE BUS ACCESS: Complimentary daily round-trip transportation from Orlando to Tampa available. Shuttle departs Orlando in the morning and returns from Tampa in the evening. ALL DAY DINING DETAILS: All-Day Dining Deal includes 1 entree, 1 side OR 1 dessert & 1 regular sized non-alcoholic beverage each time through the line up to once per hour until 30 minutes prior to restaurant closing time. Ticket and photo identification required for each park entry and when redeeming All-Day Dining at each restaurant. Some food and beverage exclusions apply. 14 DAYS UNLIMITED WITH FREE PARKING: Enjoy 14 Days unlimited visits at any combination of our theme parks: SeaWorld Orlando, Aquatica Orlando, Busch Gardens Tampa Bay and Adventure Island. 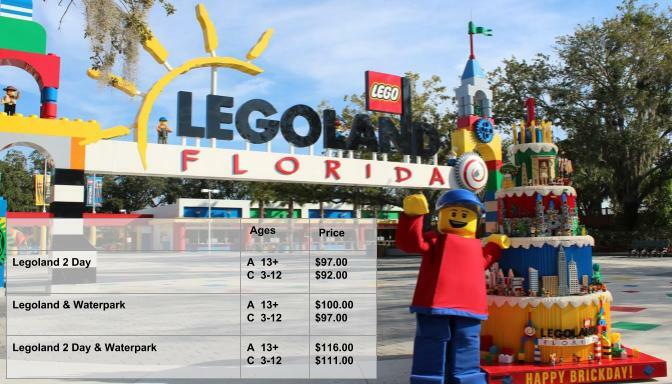 2 DAYS TO LEGOLAND®: Legoland Theme Park Experience over 50 rides & attractions including: The Dragon Rollercoaster, LEGO® Ninjago® the Ride, The Great LEGO® Race And more! LEGOLAND® WATER PARK: features tube slides, body slides, a wave pool, Build-A-Raft lazy river and for the younger visitors an interactive water-play structure – called DUPLO® Safari. Universal 2 Park Multi Day Park to Park for 3 Days ~ Access into Universal Studios and Islands of Adventure in the same day, for 3 Days! All days must be used within 7 days of the first day of use. SeaWorld 3 Park Unlimited Ticket ~ Access to SeaWorld, Busch Gardens and/or Aquatica, in the same day or separate days! Unlimited visits and free general parking to Seaworld, Busch Gardens, Aquatica and Adventure Island for 13 days from the first use. Universal 2 Park Multi Day Base for 2 Days ~ Access into Universal Studios and Islands of Adventure (1) park per day, for 2 Days! All days must be used within 7 days of the first day of use. SeaWorld 2 Park Visits ~ Access to (2) parks of your choice: SeaWorld, Busch Gardens, Aquatica and/or Adventure Island. Second visit must be used within 14 days of first visit. Universal 3 Park Multi Day Park to Park for 3 Days ~ Access into Universal Studios and Islands of Adventure and Universal's Volcano Bay. All days must be used within 7 days of the first day of use. Universal 3 Park Multi Day Park to Park for 4 Days ~ Access into Universal Studios and Islands of Adventure and Universal's Volcano Bay. All days must be used within 7 days of the first day of use. SeaWorld 3 Park Unlimited Ticket ~ Access to SeaWorld, Busch Gardens, Aquatica and/or Adventure Island, in the same day or separate days! Unlimited visits and free general parking to SeaWorld, Busch Gardens, Aquatica and/or Adventure Island for 13 days from the first use.